Brandon, 20 years old, is an artist, actor, and model. He doesn’t let an extra chromosome hold him back. In high school he loved academics and to be challenged. But, Brandon’s true accomplishments are in the arts. 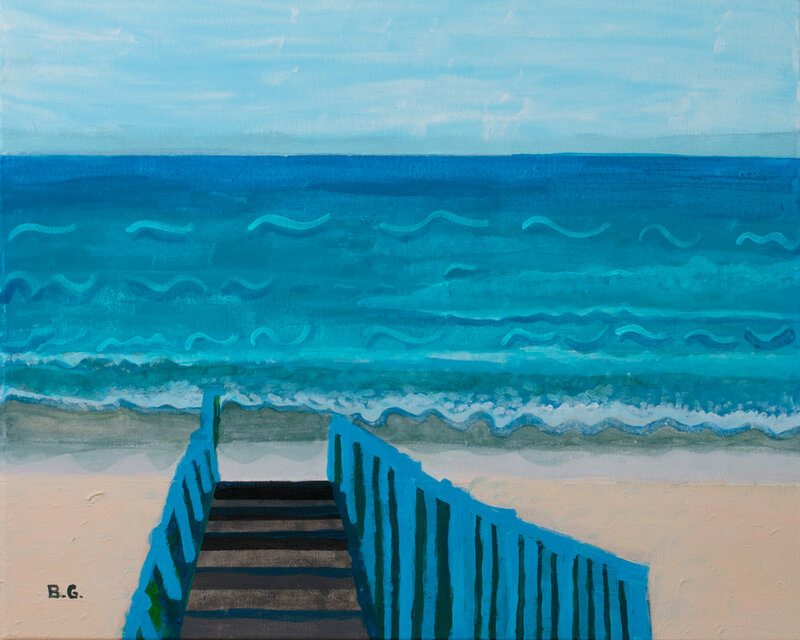 In elementary school, he discovered his love of painting and has been an artist ever since. Brandon has also acted in 101 plays, modeled for publications, magazines and books and was featured in PEOPLE magazine "Heroes Among Us" and in 2016, in a special edition American Heroes PEOPLE magazine. He auditioned for and was selected to be in a star-studded celebrity fashion show in Denver and Washington D.C. Brandon was a featured model for The Be Beautiful Be Yourself, Jet Set event and shared the red carpet with several stars including Quincey Jones, Jamie Foxx and Leona Lewis . 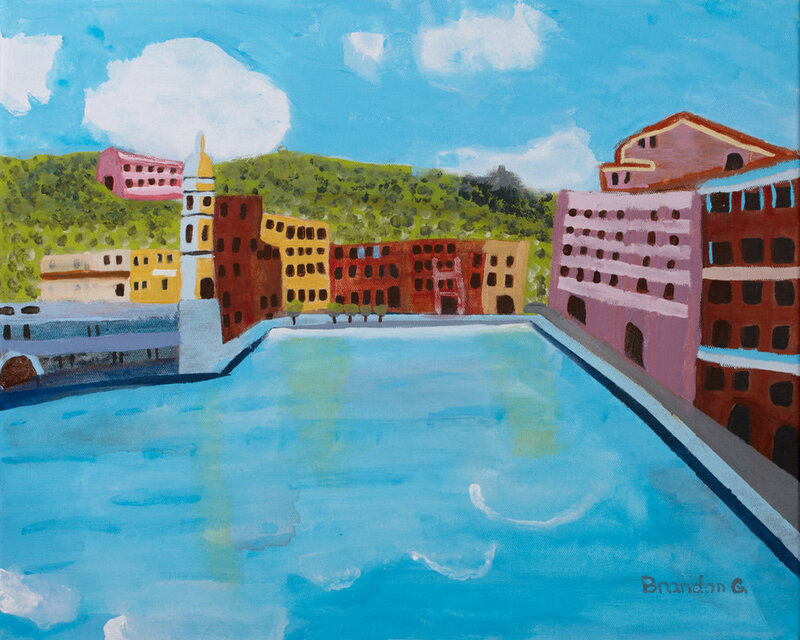 Brandon’s Capitola Venetian art piece received 1st place for all 8th grade students of a 7,000 student Brentwood City-Wide Art contest. His art was awarded for its depth, detail and lavish colors. He also received The Yes I Can! International award for the Arts category as the only recipient with Down syndrome in the United States for all categories given. Brandon loves to draw destination places he visited and he hopes to continue taking classes and expand his creative talents in media and web design. Brandon applies Geometry in his paintings. He uses vanishing points. But he cannot explain it to me with Math terminology. If I use the correct terms it feels like a grammar lesson and slows down our process. We use euphemisms. Instead of foreshortening: Things get larger, things get smaller. Shapes squeeze and smush. Brandon will rotate his canvas around or upside down to paint and get the shapes the way he wants. He doesn’t get disoriented. He has a great sense of balance and drama. We plan his project with scratch paper. I write the words and ideas that Brandon explains to me. Brandon plans the direction of the canvas, horizontal or vertical. He plans the color pallet and mixes all the color puddles he needs from scratch. He can go through a dozen pallets at one sitting. After we have picked his project apart we discuss the order of operation. Once Brandon has a plan he just runs forward. While we paint Brandon will chat me up. He always asks what I have been doing. He will tell me about the latest movies or songs that have come out. Brandon has movies stars that he admires. He frets over their misdeeds and told me once that if movie star knows they are a public figure, then they are obligated to be good examples. He felt that these stars should find a better life coaches. He mimics them during our painting breaks. We always laugh together when we paint.